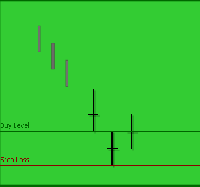 A three day bearish pattern that only happens in an uptrend. The first day is a long white body followed by a gapped open with the small black body remaining gapped above the first day. The third day is also a black day whose body is larger than the second day and engulfs it. The close of the last day is still above the first long white day. 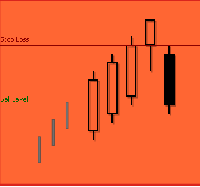 A continuation pattern with a long white body followed by another white body that has gapped above the first one. The third day is black and opens within the body of the second day then closes in the gap between the first two days but does not close the gap. 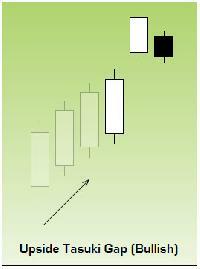 A candlestick that gaps away from the previous candlestick is said to be in star position. 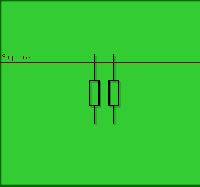 Depending on the previous candlestick the star position candlestick gaps up or down and appears isolated from previous price action.